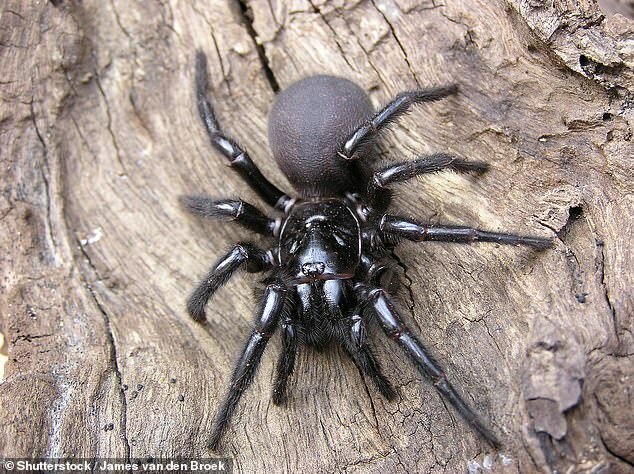 Dozens of deadly funnel-web spiders and tarantulas are being bought and sold online by Australians, who aren’t required to have a permit to own them. Adult tarantulas are being sold on online shopping site Gumtree for up to $180 across New South Wales. Funnel-webs, who have venom strong enough to kill a human in minutes, are being sold for $60 each in Sydney, while tarantulas are being sold for $1 a millimetre in Queensland. 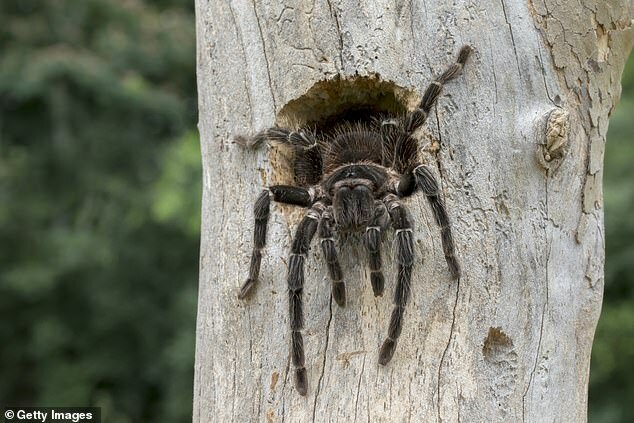 About 10,000 tarantulas are being poached in the Queensland wildlife every year, according to the Department of Environment and Science. Leading arachnologist Dr Robert Raven said the ‘deadly spiders’ being imported into New South Wales, are ‘at the top of the toxic chart for Australia and even the world’. 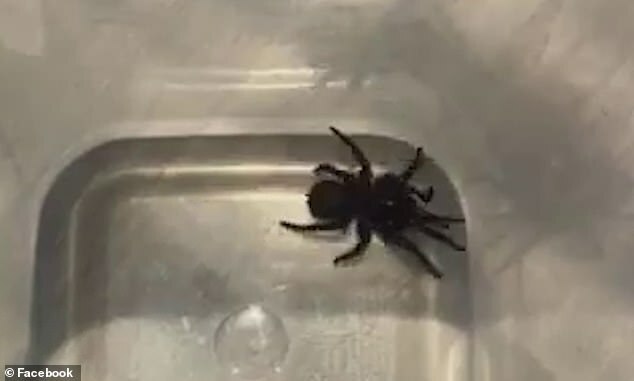 Dr Raven warned the funnel-web spiders are not harmless pets after a woman died in 15 minutes when she was bitten on the chest while sleeping. ‘They’ll kill your dog and cat in less than 30 minutes,’ he said. Breeder and environmental science student Alex Booth, 21, sells the deadly creatures on Gumtree when he has stock. One keen would-be buyer from the north east of NSW put up an ad on the website looking to buy ‘primitive spiders’ like funnel-webs, mouse and trapdoor spiders. Mr Booth said spider ownership is increasing in popularity among those who want to keep deadly animals in their ‘man caves’. ‘I think people just get the fix for something deadly,’ he told the Gold Coast Bulletin. ‘You don’t need a license to own them which is a bit of a worry, you should be 18-plus,’ said Mr Booth. 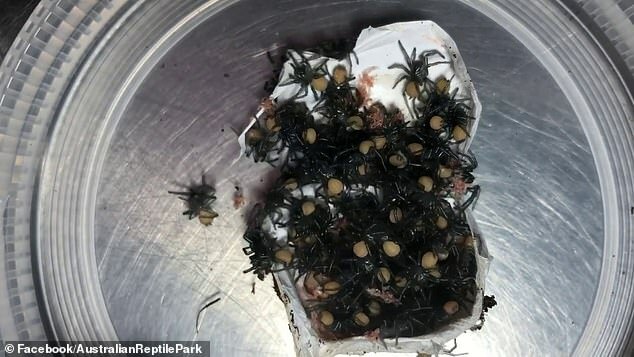 Sydney homeowner Scott McGufficke was given the shock of his life after he picked up a spider and put it into a container only to discover it was a funnel-web. An expert from Taronga Zoo told Mr McGufficke the scorching summer is the worst arachnid season ever and advised residents to exercise caution. 13 deaths from funnel-web bites have been recorded in the country to date, according to the Australian Museum.